Don't lose sight of what makes your product better than your competitors. Better yet, says Dr Peter Steidl, give your customers a short cut so they choose yours without even knowing why. A marketer’s life is a busy one, dealing with a multitude of challenging tasks from brand strategy to pricing, communications, innovation, distribution, shopper marketing, design, market research, choosing and managing agency partners, to balancing the internal team’s skills and experience mix. It can easily lead to fragmentation and a feeling of being driven by – rather than driving – events. Yet when we step back, we can see that there are essentially just two core challenges a marketer needs to address: building effective brand associations and building in effective short cuts. Keeping this in mind doesn’t reduce the diversity of the work that needs to be done, but it can speed things up and increase satisfaction. Instead of just ticking off another meeting or task the marketer can see how each step leads to addressing one – or sometimes even both – of the essential challenges that will ultimately determine success or failure. Whether we look back at early advertising efforts more than a century ago or today’s crop of ads, engagement and promotional activities, we can see that those that have any hope of succeeding invariably focus on creating or strengthening an association between the brand and one or more particular attributes, qualities or capabilities. Marketers try to convince consumers that their brand is faster, better, cheaper, healthier, more reliable, more durable, attractive, advanced, desirable, stylish, fashionable, popular – any of 1,001 qualities or capabilities. The reason has always been obvious: marketers are trying to convince the consumer that their brand will deliver a specific benefit that sets it apart from other brands. Today, we have ample neuroscience research telling us that people buy products and services to address an often non-conscious goal. An affordable and accessible brand that is seen to address this goal more effectively than other brands will make the sale (though we will look at short cuts that can upset this outcome later). So, long-standing marketing practice has been validated by scientific research. A sigh of relief: we have all been doing the right thing! However, I have noted far too often that marketers get so immersed in details of their brand strategy or plan that the big picture seems all but forgotten. They spend enormous amounts of time and money to explore some brand purpose that is supposed to change the world, conduct extensive segmentation studies to decide which segment their brand fits into, or go through multiple iterations refining a creative agency’s concept to make sure consumers ‘like’ it. Often none of these activities are focused on the core challenge – i.e., are we convincing consumers that our brand can address one of their goals more effectively than other brand? Are we building the strongest possible connection between a purchase driver and the brand? Pepsi Challenge can serve as an example here, being arguably the best documented example. When Pepsi promised to spend $20 million to support projects nominated and voted for by the public, it received more than 80 million votes. However, at the same time Pepsi’s market share declined. The marketing team focused on the response it got to the campaign rather than associating the brand with attributes that drive purchase decisions. 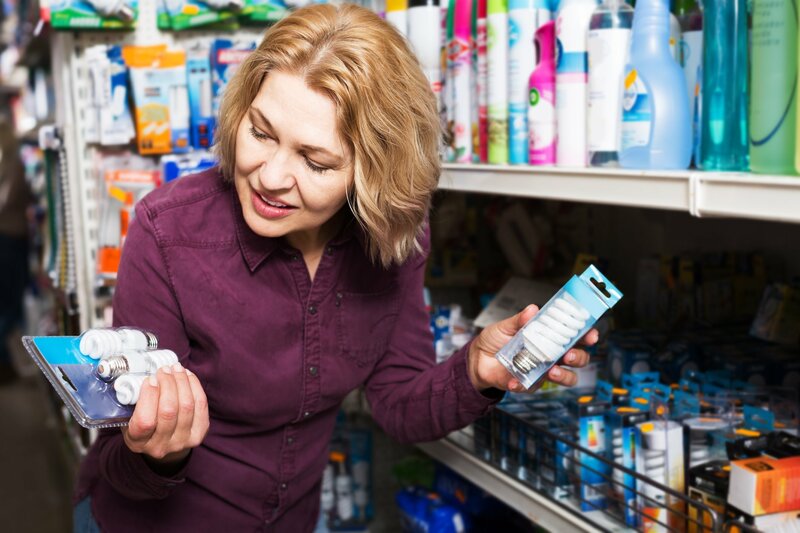 When pondering which attributes should be connected strongly with the brand memory in consumers’ minds marketers have access to an easy to administer, inexpensive methodology that typically delivers reliable and meaningful results in a few days: the response time test. As the name suggests, the response time test measures response times in milliseconds, and we know that a strong connection between neurons leads to fast responses while a weak connection results in slower response times. Let’s now turn our mind to the second core marketing challenge: to offer the consumer effective short cuts. Here we are entering the weird world of how the consumer’s brain (in fact, all of our brains) works. Let’s assume you have worked hard to position your particular brand of wine effectively with a particular consumer segment. 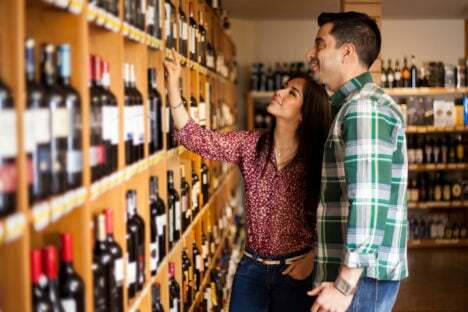 However, as some of these consumers wander through a bottle shop in search of their preferred wine they suddenly hear German music – and they leave with a bottle of German wine, having abandoned the idea of buying your brand! This is what actually happened when a UK supermarket placed four French and four German wines, matched for wine style and price, on their shelves. A sound system on top of the shelving unit played French music on even days and German music on odd ones. 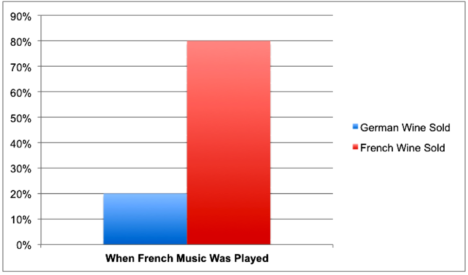 On French music days 77% of the wine purchased was French, and on the German music days 73% of the wine purchased was German. Or consider this neat experiment: During six months of *tests at petrol stations in Nevada, Ohio, California and Florida, a scent machine released coffee aromas at the same time that a digital screen was running a 15-second ad for fresh coffee. During the test, sales of in-store coffee jumped by 300%! When the scent machine was removed from the area and the digital screen was used alone to promote fresh coffee, sales were only 75 to 80% above average. Perhaps you have taken great pains to position your brand as being more cost effective by choosing a somewhat lower price point than your competitors. But you may find that one of your competitors has introduced an extremely high-priced alternative – some fancy product that nobody will actually buy – making all options that were previously seen as expensive appear more moderately priced. Against all logic you are likely to lose some sales to this competitor, who is now perceived by the consumer to offer a more reasonably priced option as well. These are just a few examples of priming that can be used to position a brand as a short cut to addressing a goal. Clearly, building strong brand associations is an important challenge for any marketer, but it is also important to ensure that the consumer is offered effective shortcuts along the path-to-purchase. What do I mean by a short cut? Anything that makes the decision to buy your brand the easiest option by reducing or even eliminating the need to think. Keep in mind that consumers do not want to put in a lot of effort and time making purchase decisions. Nowhere is this more important than at the point-of-purchase where the sale is won or lost, but priming the consumer to use short cuts should not be limited to shopper marketing: it should be a major focus when developing an integrated path-to-purchase approach. You need to also keep in mind that consumers typically don’t know that they have been primed and are using a short cut. In fact, primes work much better when consumers are not aware of them. It follows that they can’t tell you why they bought a particular brand or product – so stop asking them this question in market research as it will only provide you with misleading data. Or take the German and French wine experiment referred to earlier: the vast majority of consumers claimed not to have been influenced by the music when asked at the checkout. It follows that you can’t assess the impact of primes by conducting a survey – but if you experiment with primes and short cuts you will soon find out what works best for your brand and target consumer! 1. When it comes to strategy, align everything you do with the need to manage the consumer’s brand memory. 2. When developing the execution blueprint use a process engineering approach to embed shortcuts and primes along the path-to-purchase. Finally, when assessing the effectiveness of a campaign use response time test to complement sales/market share results. “Marketing doesn’t work on me” – my favourite forum phrase. Missed this last week. Good read.